Many of you are using duiadns url update to build your own scripts or simply for a generic dynamic dns client supported by your home router. 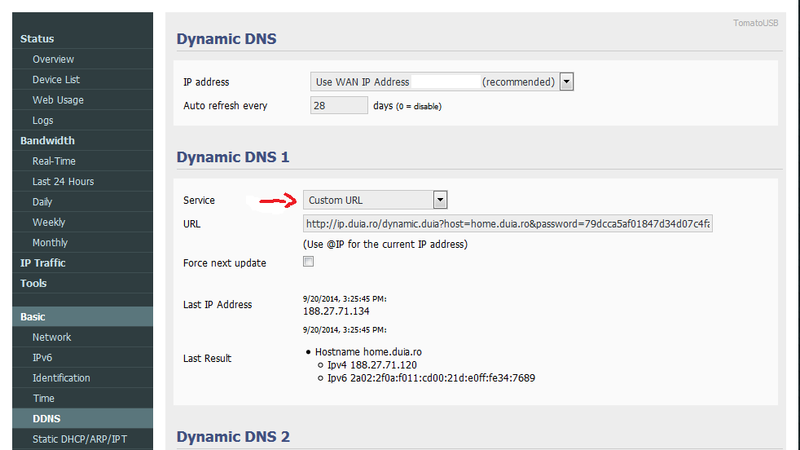 If you login and go to 'dns panel -> url update', the urls are already generated for every hostname of yours. All you need to to is to replace ipv4 and ipv6 addresses with your owns and you're good to go. There are cases thought where the url update need to be flexible enought to fullfill your requirements; sometimes the ip address need to be autodetected, sometimes you want to be sure you send the request on ipv6, sometimes you need to update both ipv4 and ipv6 by one shoot because you can only add one url update on the webinterface (see the image below). We suggest you to test the url update in a browser first and see if it's working with your data. Keep in mind that all urls are also valid with https! http? really? cleartext pass for internet to know? GET path (with md5) in plaintext. It doesn't take a hacker long to crack an MD5, or are the MD5s salted? @Bradley North: Very few duiadns clients, which will be very soon updated, send GET over http not https. We'll keep you posted. Thanks for your valuable feedback! EDIT: All duiadns clients has been updated to use https. Yes I am using the windows service which uses https and works flawlessly. Good service and way ahead of the other providers in terms of ipv6 support in the update client. @Bradley North: Thanks for your kind words! Back in 2013, the lack of IPv6 support on dynamic dns market was the main reason we created duiadns project. We needed this IPv6 for LAN feature, we found it nowhere and decided to build ourself and let everybody use it for free. Did you test it? How many times in a hour is allow to update the DNS with this HTTP link? Im now doing every 6 hours, but maybe want change to every 3 or even every 1 hour.